I am so excited to see more and more companies jumping onto the initiative of being more environmentally and/or ethically sound. Especially when it comes to fast fashion. 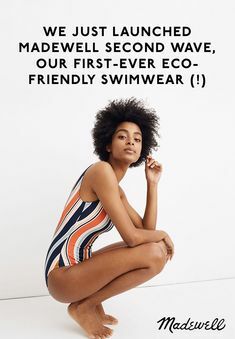 H&M recently has been in the news about taking their own steps within the eco-friendly realm (more on that later), and now Zara has launched a new sustainable collection. 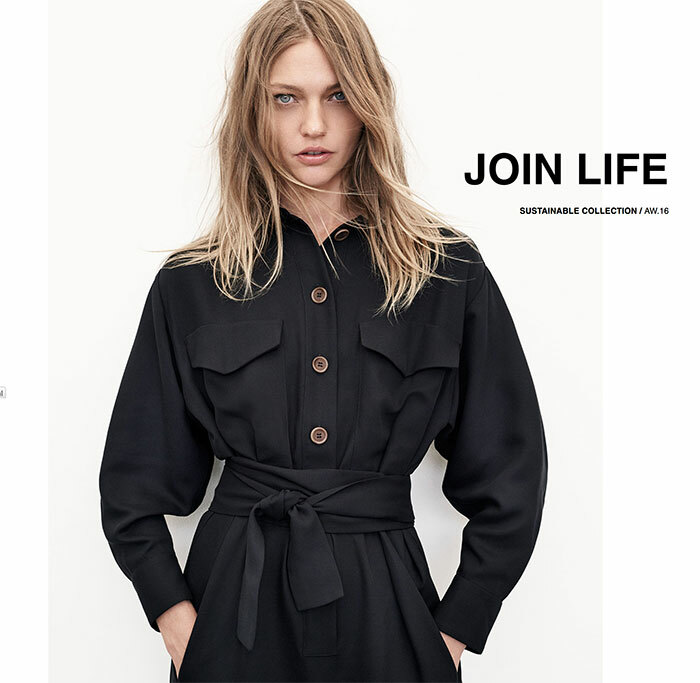 The brand is owned by the distributor Inditex (one of the world’s largest distribution groups), which recently pushed to strengthen its sustainability commitments in economic development, human rights and environmental protection pursuant to the United Nations’ 17 Sustainable Development Goals. Well, I’m back! Sorry for the hiatus, but my hubby and I took a well needed break traveling around the midwest. We visited family and various hotspots such as the Rock & Roll Hall of Fame in Cleveland! Cleveland in itself is such a beautiful and fun city from what I could tell by the short amount of time we were there before we continued on with our road trip, but the Rock & Roll Hall of Fame was easily a place you could spend several days at. I always say if I could ever get my hands on a time machine, I’d go back to experience the earlier days of rock, especially that famous National Anthem solo by Hendrix at Woodstock (and yes, that guitar was on display there!!). I’m always fascinated by ’60s and ’70s vibes, and visiting the Rock & Roll Hall of Fame brought me right there. Maybe I existed in a past life during that era? Who knows. I can only dream. But when it comes to fashion, I’m always drawn to pieces that are inspired by this carefree and yet politically active era. 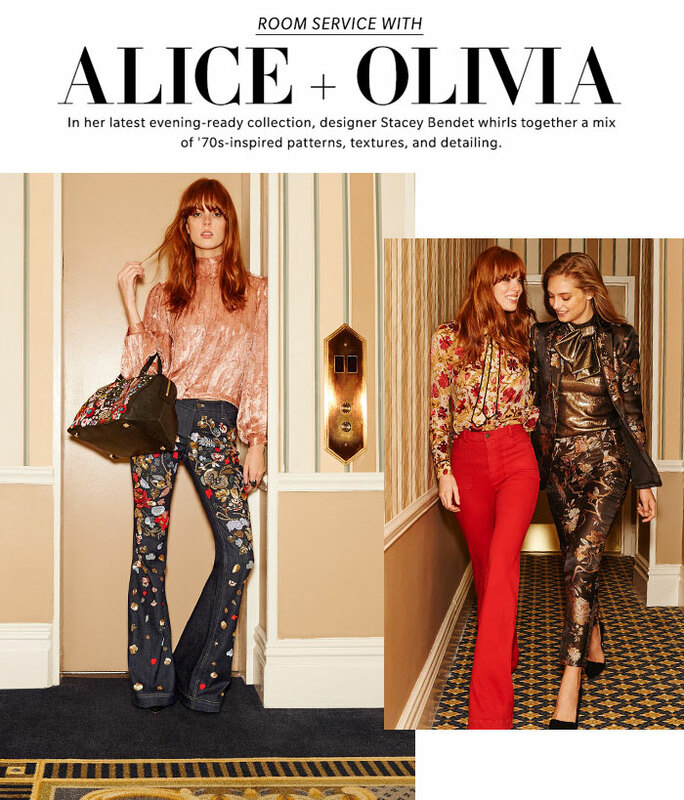 As soon as I got back and sifted through my backup of emails that accumulated while I was gone, I found one from Shopbop featuring a collection of cool ’70s inspired pieces from fashion powerhouse brand alice + olivia. I’ve always got my eyes on TOMS. Of all the philanthropic companies that I love writing about, they are one of the most active, always building new collaborative relationships and collections to benefit those who need it most. This time, TOMS has joined forces with couture designer Prabal Gurung to benefit Nepal through the Shikshya Foundation Nepal. We all know about TOMS’ One for One campaign, where for every pair of shoes purchased, one is given to a child in need. This campaign takes things one major step further: rebuilding Nepal after that devastating earthquake. Prabal is from Nepal, bringing his unique designs to this collection of four women’s shoes. The Black Suede Contrast Women’s PG Nepal Boots look straight out of the country, and the beautiful black, white and red designs of the other three pieces are sure to please your style tastes as well. For every purchase, TOMS will donate $5 to the Shikshya Foundation Nepal, with a minimum contribution of $20,000USD. 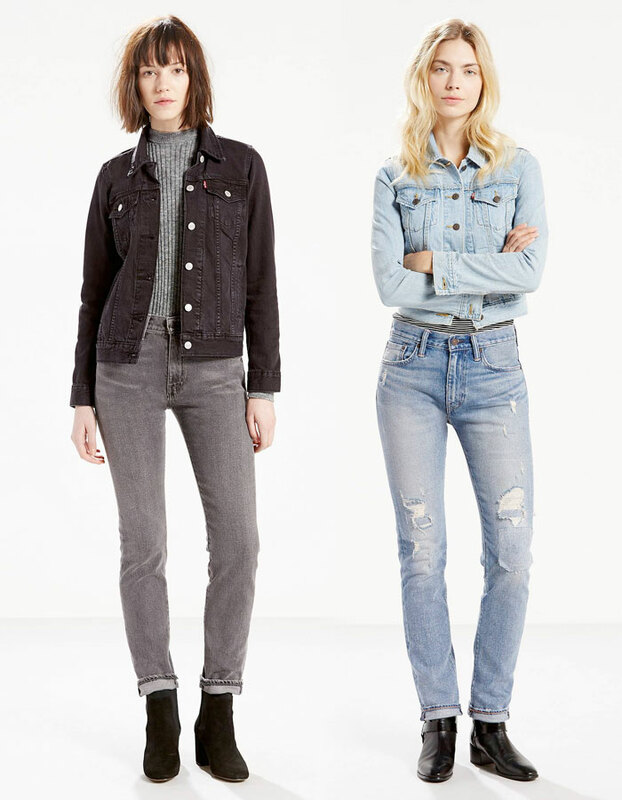 It’s tough to be as obsessed with denim as I am without also being fascinated by its history. It may have been considered workwear at one time, but it didn’t take long for the popular, tough fabric to become an iconic fashion statement which led to the vast range of enticing premium varieties on the market today. 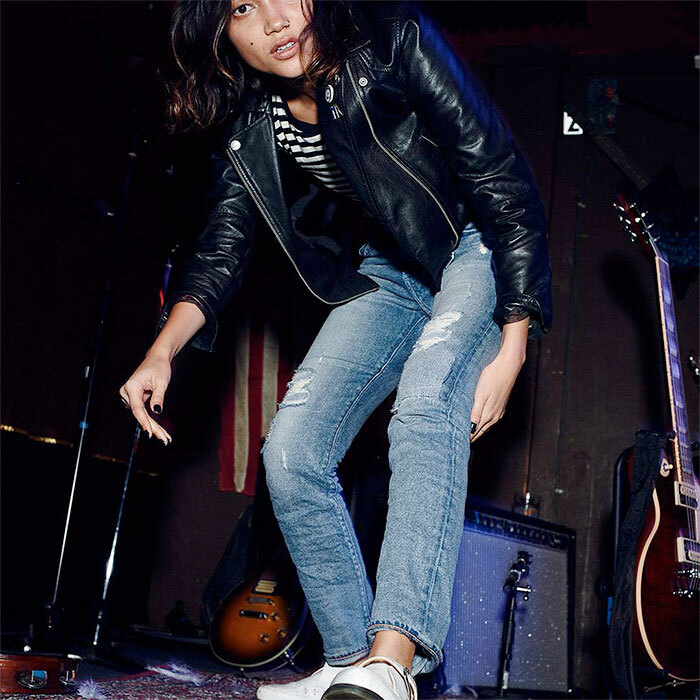 Denim has always been a symbol of rock n’ roll, and the Levi’s® 505™C leads the pack. 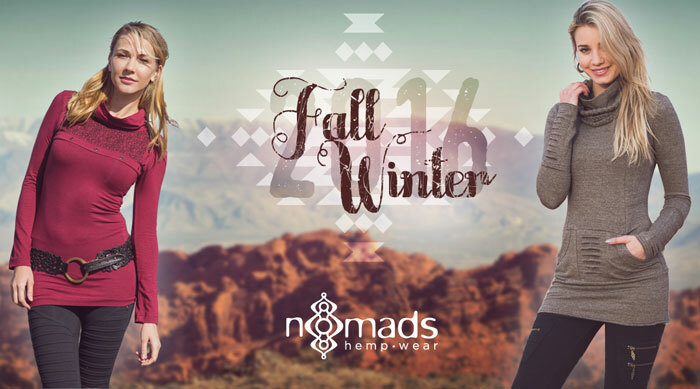 This style was born in 1967, during the Summer of Love, which sparked the rapid growth of the counterculture movement. The denim jacket was also an iconic piece at the time, thanks to the concurrent release of the Levi’s® Type III Trucker Jacket. Along with the 505™C jean, the jacket is symbolic of this era which was rich in cinema, music, and political activism. The 505™C jean was seen sported by rock and punk idols throughout history, with Levi’s® naming The Ramones of the most notable. 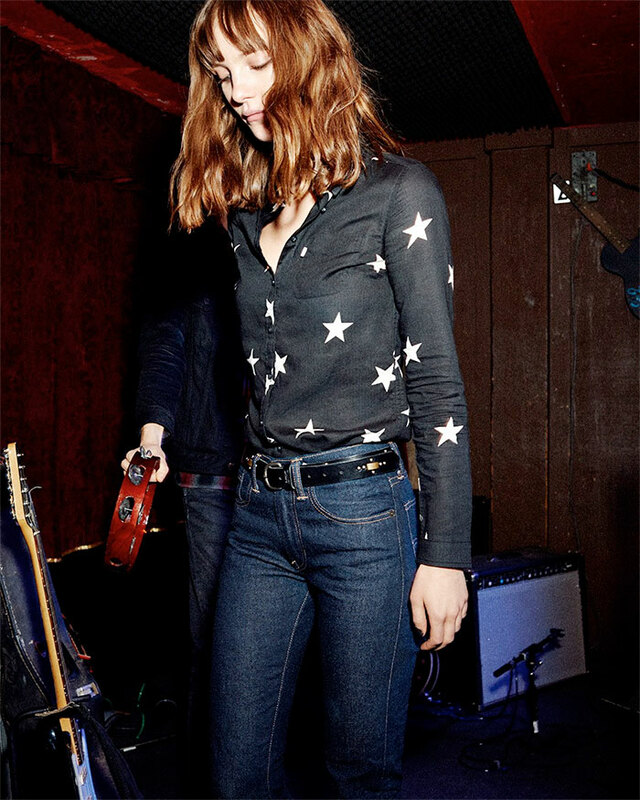 Levi’s® recently held a launch party to re-release this classic style, with legendary rock star Debbie Harry and other figureheads sporting their own pairs. The new 505™C is a slim straight leg fit that sits at the waist. The men’s and women’s collections each features six eye catching washes and levels of distressing, each made for a rock star or rocker at heart! 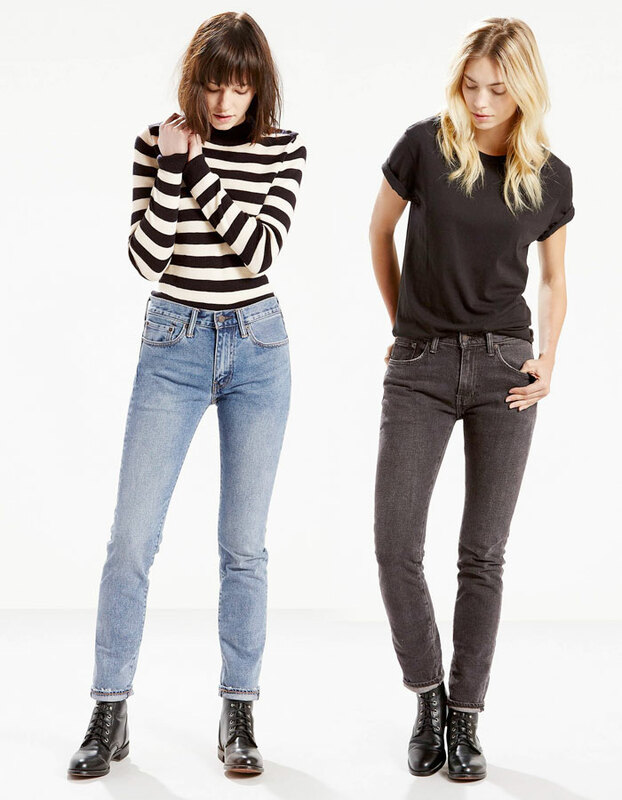 I’m usually more of a skinny jean person than straight leg, but these vintage-inspired washes are making me drool a little. It’s hard to pick just one! See photos from the Levi’s® 505™C launch party and read more about the style here. Shop the women’s 505™C here! I honestly kneel down to anyone who has perfected the vegan lifestyle…I am not sure I’d be able to do it. It’s tough enough to just avoid cheese, bread and meat (which I do as often as I can as an almost-vegetarian and slightly lactose/wheat intolerant) wherever I go. Applying this lifestyle to other consumables and products across the home and wardrobe, I have a ton of respect for. It’s kind of an awkward topic; it’s not like I’m trying to be vegan, but I do like to support vegan products as often as I can. I do like a supple leather handbag or shoes, usually because they tend to last longer. 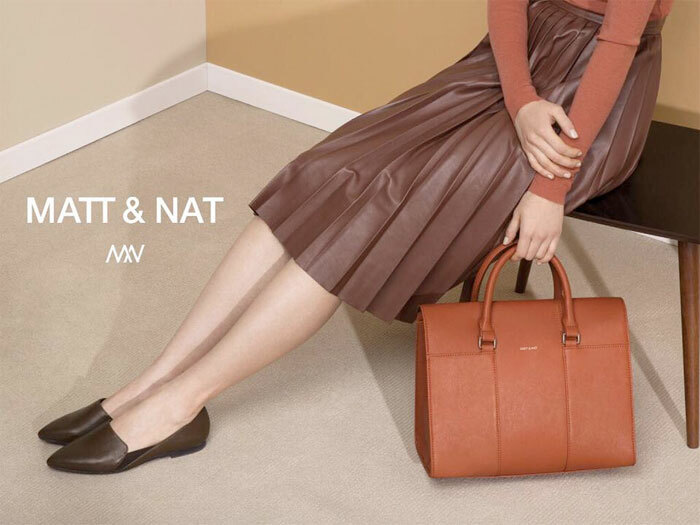 Over the years though, some brands like BLANKNYC, MeDusa and Matt & Nat have relaxed that belief of mine with their super high quality, attractive vegan leather products. I own a few products from each, and they all have held up just as well as my real leather pieces (and of course, leaves me feeling just a bit more animal friendly). Fauxgerty and Angela Roi are two others on my radar that I hope to try out soon! I absolutely love watching this market expand. Everyone’s favorite season is almost here…at least I think it’s everyone’s? Summer is always exciting for just about everyone I know, but I’ve never seen as much excitement for any season until Fall rolls around. I guess it’s thanks to pumpkin spice lattes, cuddly time, Halloween, changing colors and of course, switching it up a bit in the fashion department. 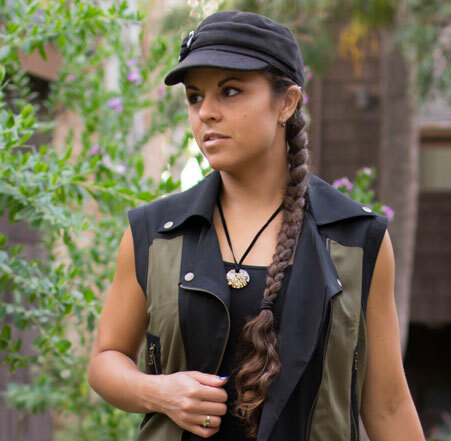 Tall boots, skinny jeans and layers of jewel or neutral tones always dominate, and black is often right there up top. I always feel I can’t own enough black pieces, and when it comes to BLANKNYC I always feel like I can’t own enough of THEIRS. Just in time for Fall, this brand favorite of mine has released a nice batch of items in this dark classic shade, focusing primarily on their amazing Vegan Leather line. 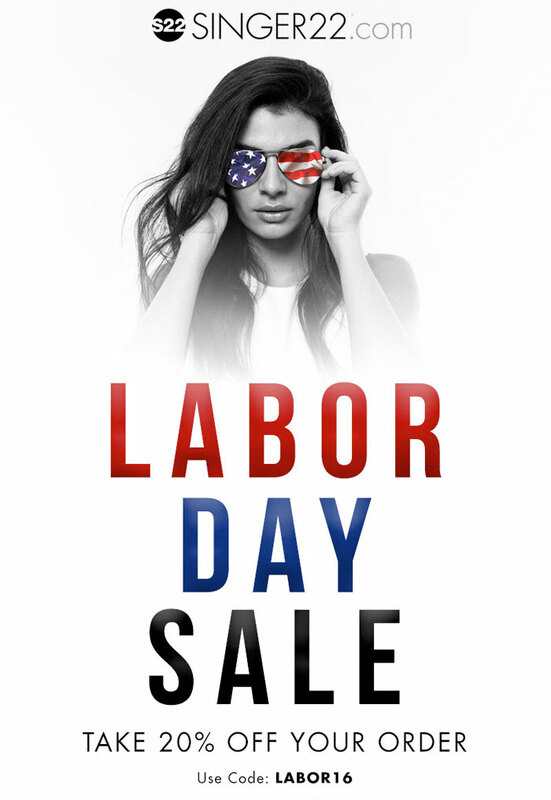 It’s yet another long weekend, and yet another great round of sales! I plan to spend my next few days resting, going to a few concerts and clubs in Hollywood, and spending time with friends. I’m fortunate to live in California where it’s going to be nice and warm all weekend, but I know some parts the country have some inclement weather looming overhead…and I’m sure if I lived in those areas I’d be more inclined to stay at home shopping! 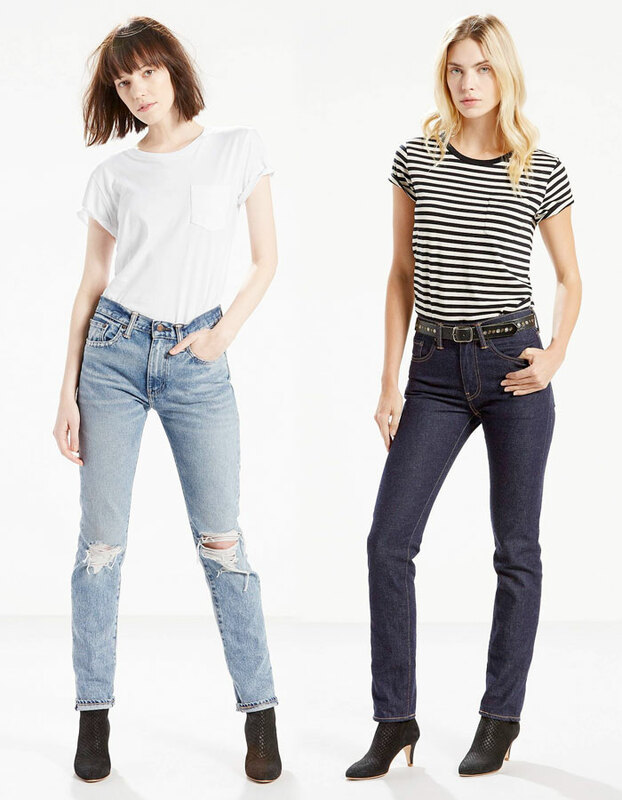 Whatever you plan to do this weekend, if you are aching for a new pair of jeans, I’ve put together some of the best premium denim sales I could find. Enjoy, and be safe!